Thanks to Edward L. Read, we are able to give you more informations given by David Kirkbright himself below. Thank you very much David. "It was in mid March 1987 when I was in Mexico looking for cacti and other succulents. The weather was already very hot, I would think over 30 degrees. I was travelling down route 190 from Tamazulapan to Oaxaca and I think from memory it was about 50 Km before Oaxaca when I stopped to investigate a hillside overlooking some cultivated land. 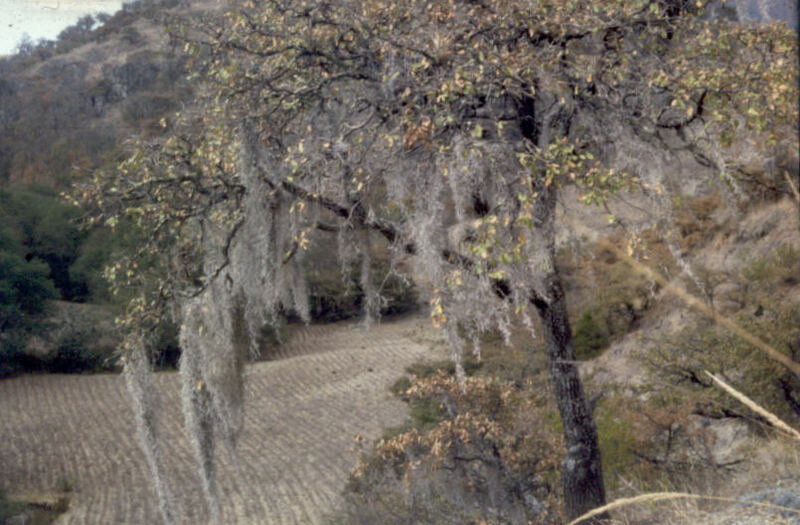 The hill was comprised of a number of natural steps on which there were bushes and trees growing, the trees having the Bromeliad Spanish Moss hanging from the branches. The area was very dry and a Ferocactus Macrodiscus that I found there was suffering from the effects of heat and dryness. I was very surprised to see a small purple flower rising from the dry grass at the base of one of the trees. I did not then have any knowledge of Pinguiculas so I did not recognise it. The flower was rising from what I now know to be a rosette of the small resting non carnivorous leaves. I was so interested that I removed one of the rosettes and added it to the other plants I had collected. (Plant collecting was still legal at that time) I brought it home to England and a friend identified it for me and gave me some advice on how to grow it. About 2 or 3 years later Stan Lampard who grows cacti and carnivorous plants was visiting my collection and said that it looked interesting. 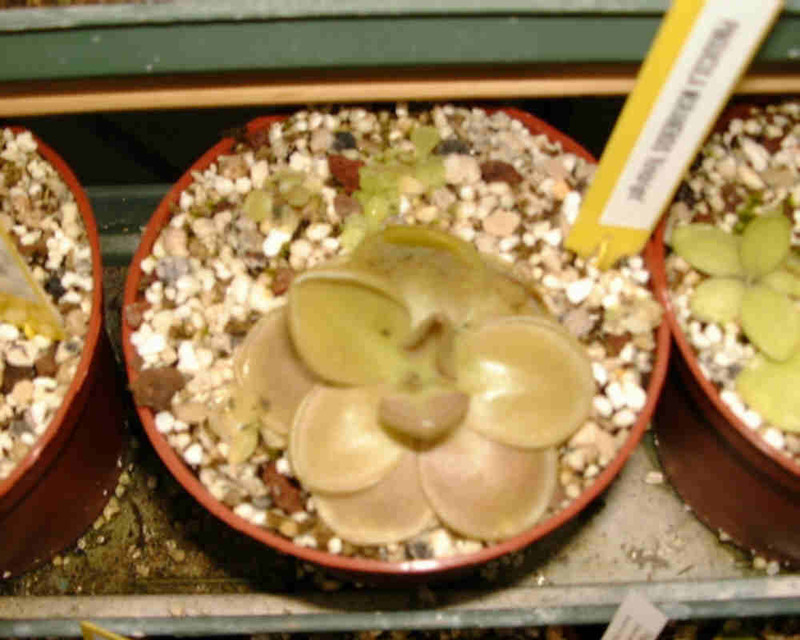 When it next went into the small rosette stage I loaned the plant to him to make some propagations. It is from those plants that all the current material is available." From Mexico, State of Oaxaca, along road N°190, from Tamazulapan to Oaxaca, about 50 Km before Oaxaca. As mentioned above, it is an hillside overlooking some cultivated land. The hill was comprised of a number of natural steps on which there were bushes and trees growing, the trees having the Bromeliad Spanish Moss (Tillandsia usneoides) hanging from the branches. The area was very dry and a Ferocactus Macrodiscus that I found there was suffering from the effects of heat and dryness. I was very surprised to see a small purple flower rising from the dry grass at the base of one of the trees. Click on the graph to enlarge and see the graph of normal precipitation and normal average temperatures. Normal values are 30-year averages for the period 1961 to 1990. The weather stations are grouped by region (see map of weather stations). My plant was obtained from the collection of Naoki Tanabe (Japan). The tree under which it was found. 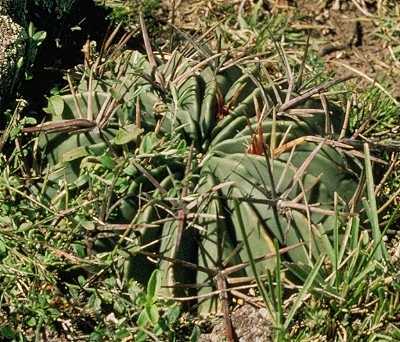 A nearly cactus showing effects of lack of water. 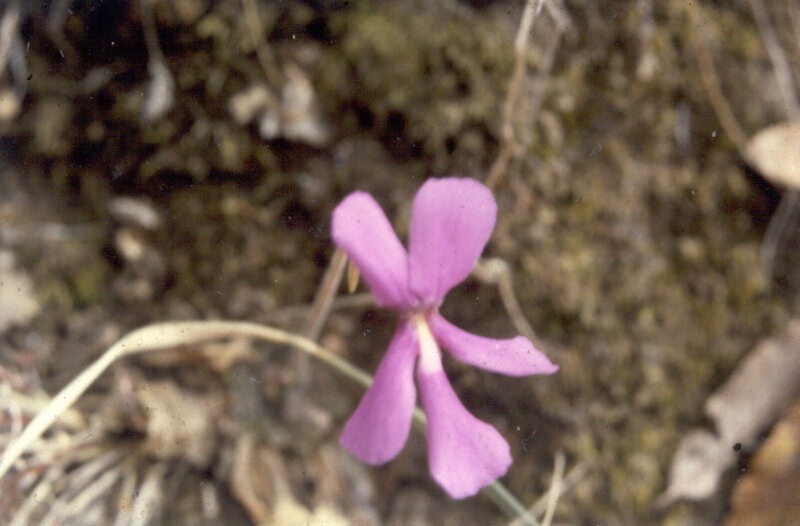 The Pinguicula found by David flowering : It was the only flower that was showing. 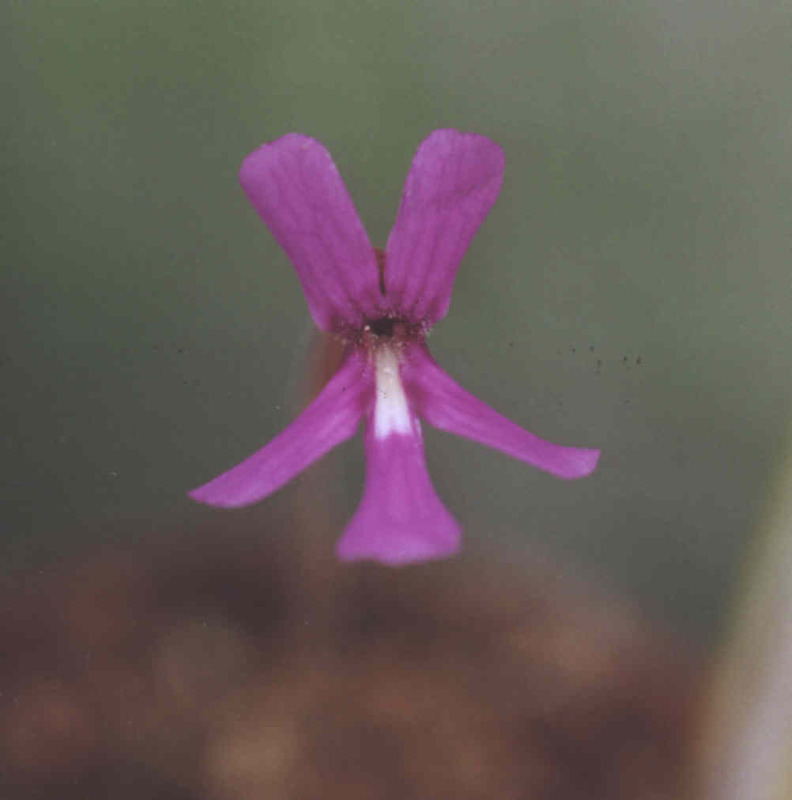 The flower of Pinguicula moranensis in culture collected by David Kirkbright. 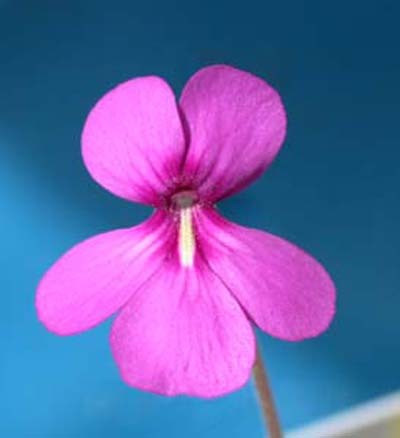 The flower of Pinguicula moranensis in culture collected by David Kirkbright. This is amazing but this is the SAME clone. 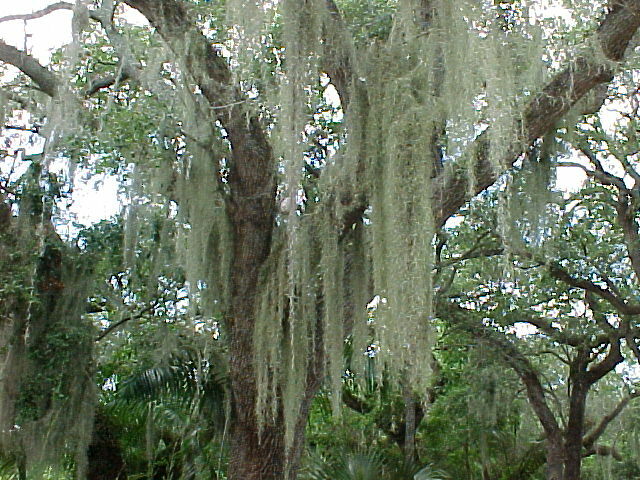 Spanish moss is not a moss, but a light grey bromeliad , Tillandsia usneoides, which grows in trees in full sun or part shade from the Southern United States through Argentina. It is typically thin and curly, hangs from the trees' limbs, and can grow several feet in length. Be carefull, the plants in its natural habitat can contain chiggers (which burrow under humans' skin and cause considerable itching). It is not a parasite, but an epiphyte, which absorbs nutrients and water from the air. This plant was about 20cm in diameter. Picture by Clarke Brunt. 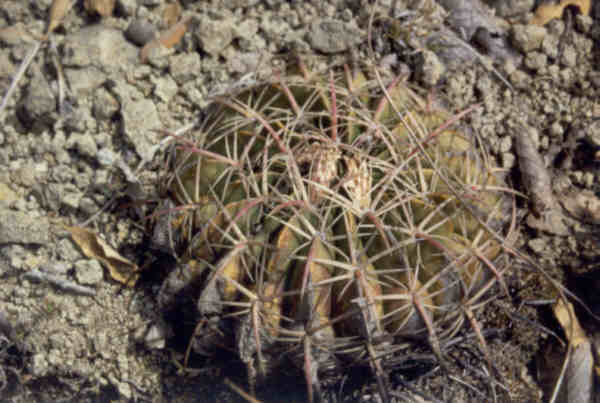 Ferocactus macrodiscus is the only Ferocactus which is broader than high. It measures between 30 and 40 cm broad on 15 cm in height. During the dry season, Ferocactus macrodiscus is half-buried, its strong roots (in the carrot shape) store its water reserves under the ground safe from heat and cold.